Hit the Calloway Epic then Rogue, both good to very good. Then hit older model called Fusion, it's GREAT. Now retails in big box stores for $180 vs. $499!!!! Generally is the mistake too weak or too strong of a group for a high handicaper? I'm learning Rotary Swing and quickly finding I need a stronger grip for a complete release at impact. If I use 1plane swing technique than neutral to weak gripping works fine. Why Don't More Good Players Use Their Iron Set Wedges? High handcaper doesn't benefit from grind as much as bounce. But primary reason for custom wedge is to fill in a distance/yardage gap that reoccurs frequently at your home course. I understand your angst. For ANY price point the last thing you need is lack of confidence in club fabrication. I have purchased "clone" irons online that cost $150 USD and are perfectly crafted to my specs. It's a minimum expectation. "just keep pushing the ferrules back down after each shot" that's a joke. Great points from those up to date (hybrid users, flies high lands soft) and nostalgic faiway wood users (has enough mass and shaft length to create ballspeed and roll). 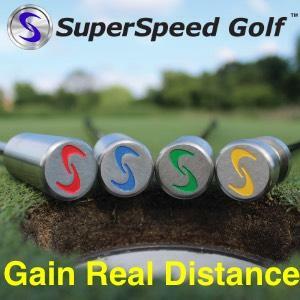 Personally, increasing my 3wood loft by 1.5° has been a significant benefit whan hitting off the deck and needing maximum carry yards such as over a bunker/hazard fronting a green. It's the player's responsibility to use safe equipment. Swing analyzers don't lie. 95mph ss with 1.40 smash factor carries a driver 215ish and rolls to 225-230. EVERY time it's not wet out.